Back in film days many many decades ago, no one ever referred to 24x36mm frame size 135 film cameras as “Full Frame” (FF). They were usually referred to as 35mm film cameras, and at a time when the average professional/ commercial photographer used 4x5 and 2-1/4 x 2-1/4 inch (and wider) cameras, the 35mm film cameras were sometimes referred to as compact film cameras, or other similar names. There was, of course, a growing array of both higher-end and amateur 35mm film cameras and systems becoming more and more popular, over the years increasingly more professional photographers included. There were some “half-frame” 135 film cameras around as well, notably Olympus made the Pen camera system. Note that what I’m about to say is using only Canon as the example, as it is the brand I’m most familiar with between the earliest history of Canon and Nikon digital cameras. CROPPED SENSOR. The first Canon interchangeable lens digital cameras were the D30, then the 1D, followed by the D60. These were ALL smaller than the standard 35mm frame of 24x36mm, or “cropped sensor”: the D30 and D60 were APS-C format sensors, and the first “professional” digital ILC was the 1D, an APS-H sized (slightly wider format) sensor. At this stage these new digital camera bodies from Canon used the same EF camera mount as the electronically controlled 35mm film cameras, but the smaller sensor was cropping the image compared to the 35mm film cameras. So, in writing about this new breed of digital cameras, the APS-C and APS-H sensors were often referred to as “cropped sensors”, and “full-frame” was sometimes used to describe the 35mm film cameras. 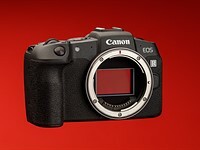 Eventually Canon introduced the 10D (APS-C) with a new mount which was both backwards compatible with the existing EF lenses as well as with the new EF-S lenses which could take advantage of the smaller sensor and smaller mirror box, allowing rear elements to protrude into the body closer to the sensor and with a smaller image circle, and therefore offered more compact lenses. FULL FRAME. Although this term came into play already with the introduction of the first cropped sensor DSLRs, the term now really took root in the digital world to differentiate the first digital ILC formats with “cropped sensors” vs the new DSLRs which now had sensors equivalent in size and format to the original “full-frame” 35mm film cameras. So, in the world of 24x36mm and APS-C sensors which could both use the same original larger lenses, the terms FULL FRAME and CROPPED SENSOR became popular to differentiate between the behavior of lenses on the original film format and newest, largest digital sensor format which most people were familiar with and the smaller digital sensor format. FOUR THIRDS (4/3). Then, Panasonic and Olympus introduced an entirely new sensor and mount format, which happened to be even somewhat smaller than the APS-C format. It is its own format. However, the mass and momentum of the original 35mm film format could not be overlooked, and even though the aspect ratios are different, comparing field of view across the diagonal of the frame was inevitable to explain equivalent field of view for a given focal length in the new FOUR THIRDS system if one’s previous frame of reference was embedded in the 24mm x 36mm frame format, whether film or digital. As a side note, for me I’ve been shooting 4/3 and then μ4/3 for so long now that I never think in terms of the so-called FF system. I know what effects the various apertures, focal lengths, sensor families and generations, ISO sensitivity vs dynamic range and noise are like, and I just operate freely within that system. In my film days, the truth is that in the beginning (for more than a decade) I used a range of film formats from 35mm to 4x5 inch, and I did pretty much the same thing for both all of them as with μ4/3 now — I got to know how to set up the particular cameras, lense, and film to the subject and environment to get the image I wanted. From the late 70s to the early 2000s I shot almost exclusively in various stereo 35mm film formats (yes, there are different frame sizes for 3D as well). From my own perspective, “Full Frame” and “Crop Sensor” designations are only really relevant if I am working in the Canon-Nikon-Sony worlds using 24x36mm and APS-C formats, which at the present time I do not. If I were to really need the advantages available in a larger format sensor, frankly I’d probably just spend the money on the largest available and also somewhat affordable such as a Pentax or Fujifilm MF system, and I’ll be relieved that I don’t have to deal with FF and cropped sensor discussions on that one. Perhaps.